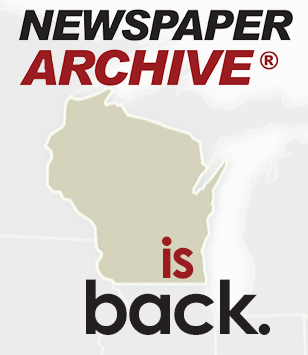 InfoSoup libraries have obtained access to Wisconsin newspapers after the national collection was dropped as a statewide BadgerLink resource. You can once more browse the Post-Crescent going back to 1853 through our link to Newspaper ARCHIVE. And don't forget: you also have access to the reproduced text of the Post-Crescent from 1999+ in US Newsstream, also listed in the eLibrary.